Stamps by Chloe - Butterfly Background Builder Approx. Size : from 7cm across to 1.5cm across, 7 stamps in total. 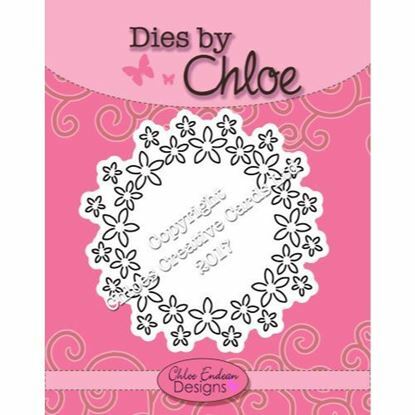 Stamps by Chloe is a clear photopolyer stamp range designed by Chloe Endean and made in the UK. Stamps by Chloe are all made from a premium quality high definition photopolyer and poured to 3mm. All stamps are clear and self cling to an acrylic block (sold separately). Stamps by Chloe - Birthday Wishes Approx. 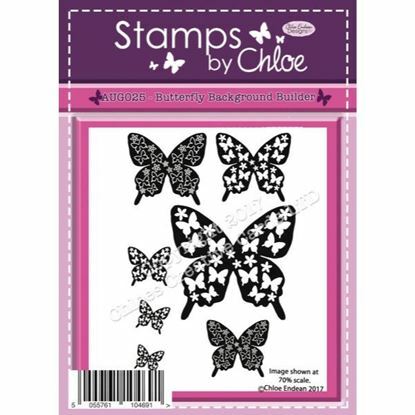 Size : 7.5cm x 5cm tamps by Chloe is a clear photopolyer stamp range designed by Chloe Endean and made in the UK. Stamps by Chloe are all made from a premium quality high definition photopolyer and poured to 3mm. All stamps are clear and self cling to an acrylic block (sold separately). Stamps by Chloe - Blossoming Foliage Approx. Sizes - Large Blossoming Branch - 8cm x 6cm Small Blossoming Branch - 6cm x 4cm Outline Leaf - 7.5cm x 4cm Soild Leaf - 5.5cm x 3cm Stamps by Chloe is a clear photopolyer stamp range designed by Chloe Endean and made in the UK. Stamps by Chloe are all made from a premium quality high definition photopolyer and poured to 3mm. All of our stamps are clear and self cling to an acrylic block (sold separately). 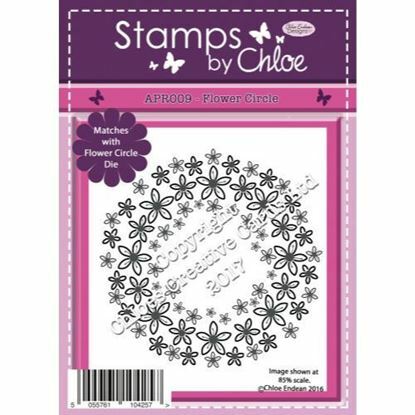 Stamps by Chloe - Flower Circle Approx. Size - 9.5cm across Stamps by Chloe is a clear photopolyer stamp range designed by Chloe Endean and made in the UK. 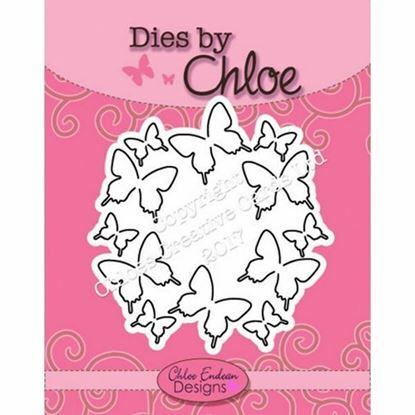 Stamps by Chloe are all made from a premium quality high definition photopolyer and poured to 3mm. All of our stamps are clear and self cling to an acrylic block (sold separately). 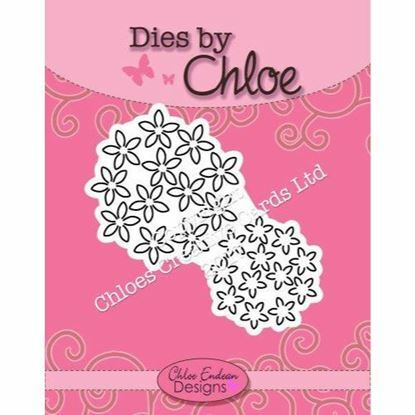 Co-ordinates with Dies by Chloe CHCC022 Flower Circle (sold separately). 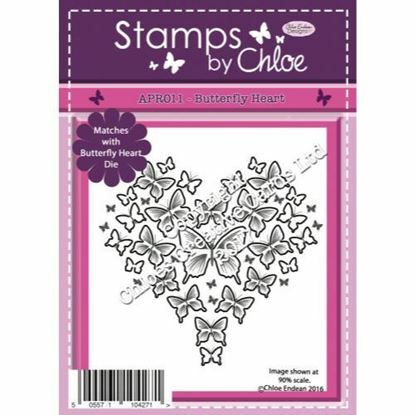 Stamps by Chloe - Butterfly Heart Approx. 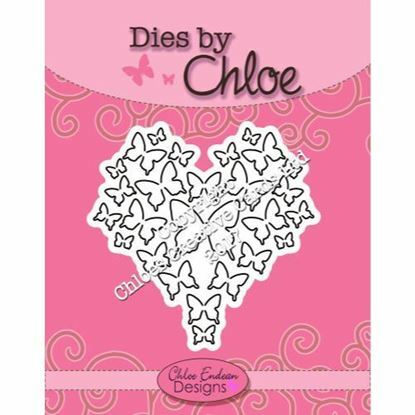 Size - 9.5cm x 9.5cm Stamps by Chloe is a clear photopolyer stamp range designed by Chloe Endean and made in the UK. Stamps by Chloe are all made from a premium quality high definition photopolyer and poured to 3mm. All of our stamps are clear and self cling to an acrylic block (sold separately). Co-ordinates with Dies by Chloe CHCC-025 Butterfly Heart (sold separatley). Chloe Sparkelicious Glitter - Pretty Penny 1/oz Jar - by Volume (Jar Size) not Weight Sparkelicious is sure to add a fabulous finishing touch to all of your projects and is your secret weapon to create a show stopping sparkle on your cards. All colours have been designed to work perfectly with the Stamps by Chloe range. Pretty Penny is a beautiful orange/copper mix in a chunky grade to add extra dimension. 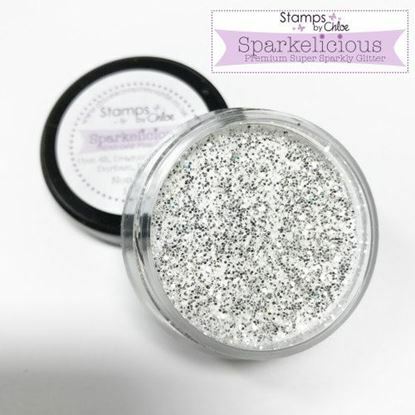 Chloe Sparkelicious Glitter - Princess 1/oz Jar - by Volume (Jar Size) not Weight Sparkelicious is sure to add a fabulous finishing touch to all of your projects and is your secret weapon to create a show stopping sparkle on your cards. All colours have been designed to work perfectly with the Stamps by Chloe range. Princess is a chunky grade chrome glitter, this glitter can be polished flat into a double sided adhesive sheet to give mirror like sheen. Stamps by Chloe - Fabulous Stilettos Approx. Sizes - Large Stiletto Shoe - 9.5cm x 8.5cm Small Stiletto Shoe - 7cm x 7cm Stamps by Chloe are all made from a premium quality high definition photopolyer and poured to 3mm. All of our stamps are clear and self cling.